Do you need some direction in your life? 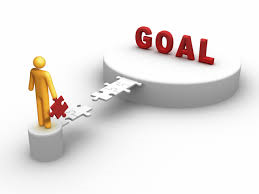 Are you not sure what steps to take next to attain your goals? Do you want to set goals for yourself but don’t know where to start? Goal setting is a powerful tool that is proven to attract into your life the people and situations that you are looking for. Join Kate Goodyear for an afternoon of asana, meditation, goal setting and vision boarding to help make your goals more solid and attainable to you. This fun workshop will place you with like minded people as we open ourselves up and allow the universe to deliver to us those things we have been looking for. Join us as we solidify our goals and achieve them!! 2 Hour Workshop Fee: $30 (includes all materials). Saturday April 12th from 1:30-3:30pm. Sign up at the front desk or online here! September is the new NEW YEAR!